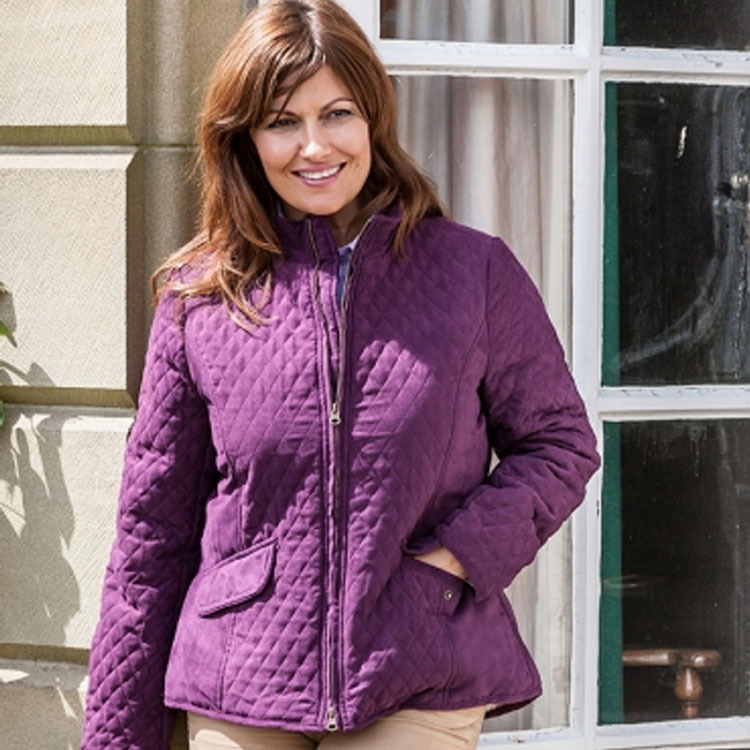 The Hoggs Lexington Quilted Jacket will become a classic all year round staple, ideal for country activities, especially equestrian sports. Soft to the touch and lightly quilted it is semi-fitted for a flattering shape. 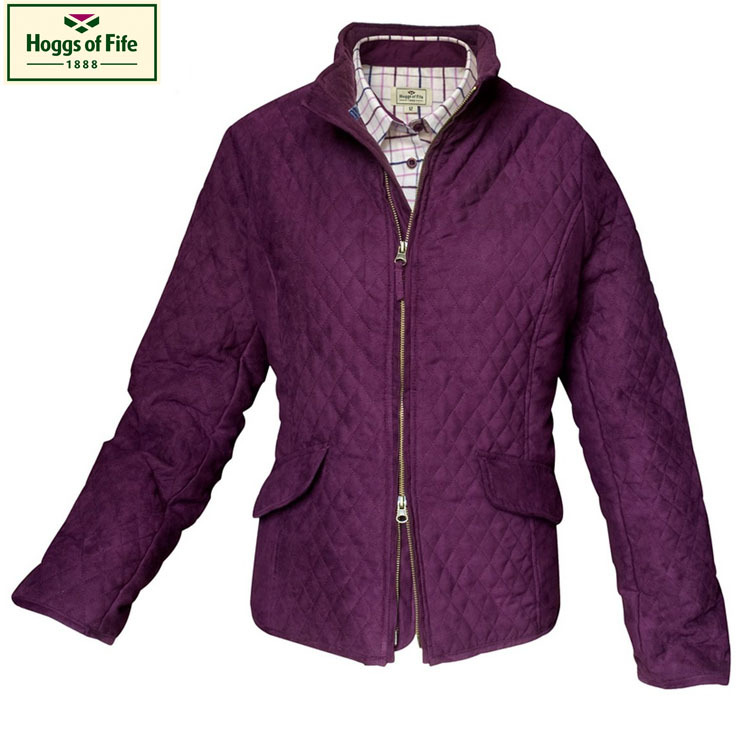 Made from shell fabric in small diamond-quilted Sueded Microfibre, it features a fleece collar lining, cord trims, 2 way full length brass zip, 2 front pockets, studded rear vents and a beautiful floral contrasting lining. Designed to match beautifully with any of our Hoggs shirts and Moleskin jeans and trousers.